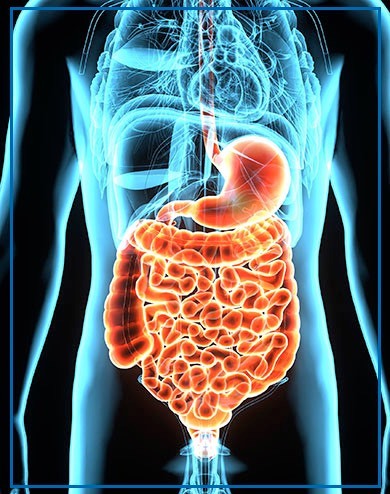 Gastrointestinal surgery typically involves the digestive tract and is performed on a regular basis here at Surgical Associates of Mansfield. Using minimally-invasive surgical techniques, our team treats patients suffering from a wide range of gastrointestinal conditions. Our surgeons treat diseases such as acid reflux, diverticulitis, gallstones, inflammatory bowel disease (IBD), hernias, and hemorrhoids. We also perform colon cancer screening tests, helping at-risk patients get out ahead of any potential problems. Depending on the circumstance and patient, diagnosing disorders of the gastrointestinal tract can be challenging. This is why our gastrointestinal services are so important and critical to the health and wellness of our patients. Our highly-trained and experienced surgeons not only understand the ins and outs of these types of conditions, but have the tools to help our patients achieve their optimal health. By implementing the da Vinci Robotic surgical technique, we are able to correct gastrointestinal conditions in an efficient and pain-free manner. This relatively new technique is minimally-invasive and allows us to get right to the root of the problem, no fuss about it. This technique is helping with early detection of cancer and other serious conditions, which has in turn given us the chance to treat patients much sooner. These are just a handful of the most common gastrointestinal conditions we treat here at Surgical Associates of Mansfield. All of these procedures are done robotically, ensuring the patient has the most optimal experience possible. We also offer colostomy reversal, robotic pelvic floor reconstruction, and surgery for small bowel tumors. We have a fellowship-trained colon and rectal surgery specialist among our group, ensuring you receive the best possible care out there. While not all of the conditions listed above require treatment, many do. Our knowledgeable staff will examine you, assess your medical condition, and provide you with a diagnosis. Once a diagnosis has been made, we will have a better idea of what type of treatment you may require. Many of the services we offer under our gastrointestinal division are preventative, such as colon cancer screening. However, many patients come to us with a condition that needs immediate attention. Regardless of what gastro condition you are suffering from, you can rest assured that our entire surgical team is on your side and will do everything we can to correct the problem and get you back to your healthy self. As mentioned, we utilize the da Vinci Surgery - a robotic-assisted form of surgery that is minimally-invasive. Thanks to this new type of surgery, we are changing the experience of both the patient and surgical team. Powered by robotic technology, the da Vinci system allows the surgeon’s hand movements to be translated into much smaller, more precise movements. When using this technique for gastrointestinal conditions, we are able to more acutely pinpoint the problem area and treat it on the spot. The surgeon is 100% in control at all times with this system, eliminating the risk of error and complications. If you are suffering from one of the gastrointestinal conditions mentioned above or another disease, please contact Surgical Associates of Mansfield today. Our gastrointestinal surgical capabilities are among the best in the area, if not the country. We are committed to patient satisfaction and will do everything we can to make sure you are comfortable and understand your diagnosis and treatment plan. To learn more about our surgical team and gastrointestinal surgical services, please give us a call today.